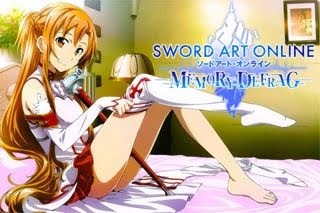 Here's a guide on how to increase your MP Pool and MP Gain in the action RPG mobile game - Sword Art Online: Memory Defrag. MP or MP cost is a very important stat because this will also determine how strong your characters are, more MP means more chance to cast their SS3s, thus more damage output. - More MP = More MP Gain per hit. - Note: Enter any battle to check your actual or total MP Pool. - Simply level-up your character and unlock MP+ attributes from his or her Attribute Matrix. - Equip gears that gives MP+ or MP+%. You can commonly get them from Accessories. - Stats or Gears that also gives MP requirement -% can also help. - Regular attacks will trigger MP Gain, and the number of MP that you can recover depends on the Weapon type of your character. 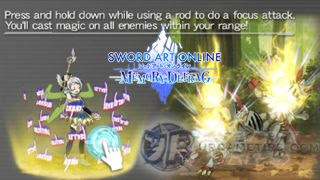 - It is calculated as per hit, so if you were able to attack 2 enemies with 1 single attack, that will count as 2 hits. - Note: Enter any battle to check your actual or total MP Pool. If your character learned MP Recovery Ratio Up from Skill Slots, that character will get more MP gain per hit. When Does MP Gain Starts To Matter? - MP gain doesn't matter much if you can take down bosses around 3 SS3s depending on the character you are using, and around 5 SS3s if you are using 2 characters and so on. - MP gain starts to matter, once your character/s runs out of mana and the battle is still going on. This is where Dagger, Lance, Rapier, and Dual wielders starts to shine too because they can easily re-gain mana during battle due to their speeds perks.